And to each of you in the US, Happy Labor Day! In home changes seem to be a continuing theme for me. 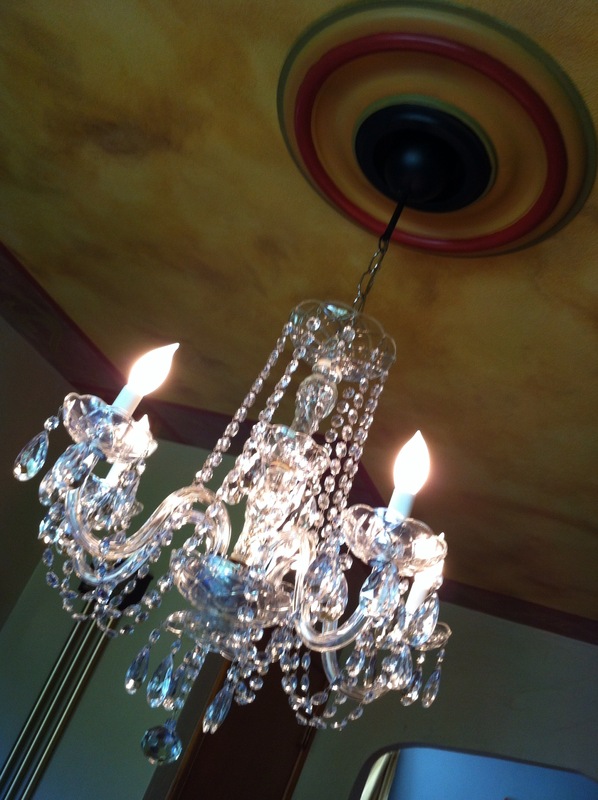 This weekend my husband & I hung a family heirloom in our dining room…a crystal chandelier. It’s beautiful and I love how the crystals scatter light throughout the room creating rainbows that fill my spirit with joy. You’ve likely noticed a recent rise in the popularity of crystal chandeliers, and they can easily be found at places like Pottery Barn. At first this trend surprised me (despite my own love for crystals, stones, and anything that fills a room with rainbows), but I really see this trend as a reflection of our collective desire and need for clarity as we move forward making changes in our own lives. Within each change we hold the desire to be ‘crystal clear. Maybe you’re recalling such a time…or perhaps it is something you’re seeking right now…the desire for absolute certainty, to be without doubt, without fear, without unnecessary caution. The desire to trust in what you know and feel, and to then move forward with absolute confidence. It’s funny how something so simple as hanging a new chandelier can cause such a ripple of thought. It has led me to wonder about the times in my life when my decisions were made with ‘crystal clariy’ and how I arrived there…is there a path that I can follow to prompt that clarity with more ease? 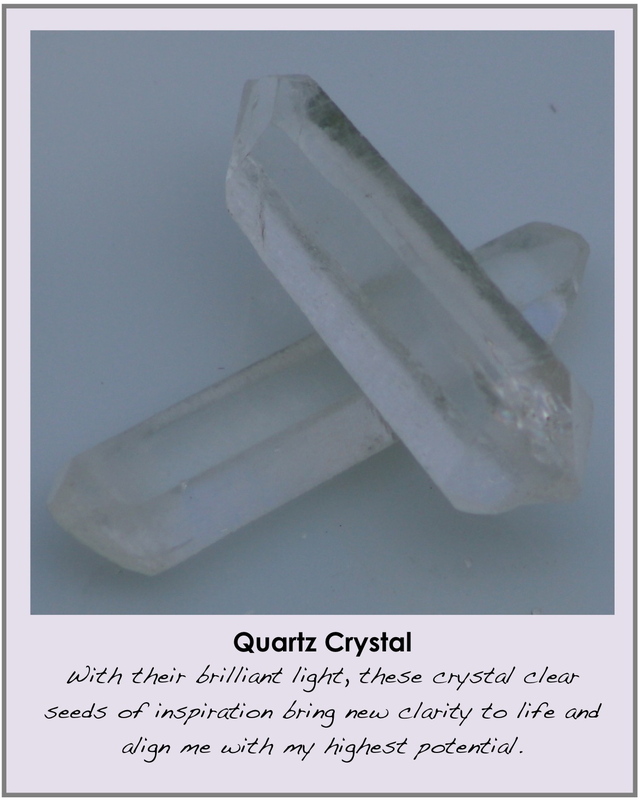 Have a beautiful week & with the Clarity of a Quartz Crystal…Shine Brightly!